150 Recipes Dad Will Love to Make, Eat, and Share! Dad deserves the very best home cooking. But he doesn’t have a lot of time, and neither do you! Not sure what to get Dad this year? With these easy slow cooker recipes, you can make his favorite ribs, wings, chili, fudge brownies, and more with minimal preparation time and easy-to-find ingredients. Whether Dad likes to cook or likes to be cooked for, these tried and true recipes are sure to be a hit. Put that slow cooker, instant pot, or any other multi-use express cooker to use! 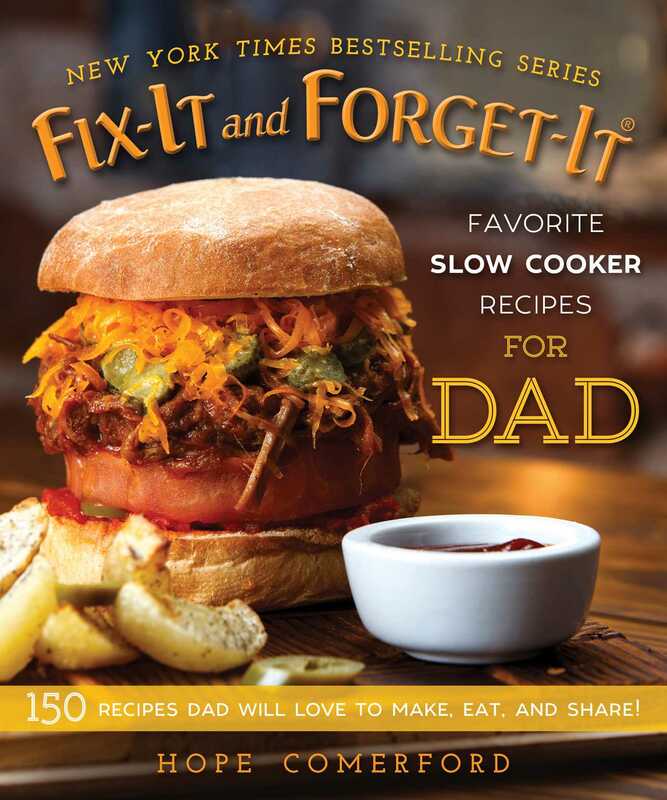 Give your dad the best recipes from the New York Times bestselling Fix-It and Forget-It cookbook series. When it comes to dads, you can’t go wrong with finger-licking good, easy-to-prepare appetizers, snacks, meats, veggies, and desserts!